Discussion in 'Hiking Chat' started by DuneElliot, Sep 18, 2018. In my line of work (kids) its all about positive reinforcement, but many of us think it doesn't always work. I'm absolutely no expert on dog training, but I 'trained' my collie using both positive (praise/fuss) and negative (crate/no attention/not going for a (fun) walk/a good telling off) which seemed to have paid off, she a well behaved happy dog. Can still be naughty but usually with other people ( she'll take advantage). Fossil Bluff and Fair Weather Camper like this. Totally no doggy expert neither but trainabilty has got to come down to breeding as well. Some dogs such as collies are bred to be intelligent, eager to please, and keen to work. So should in theory be highly trainable. Some such as Dalmatians maybe, are designed to look pretty and find deep fascination in following a carriage wheel all day....Hence a trifle lacking in brain power. But from talking to professional animal trainers, a lot of it comes down to being very clear and consistent in what you're asking for. Despite owners protestations dogs (or horses or whatever) Dont "Understand every word I say"
They don't know the answer to "Who's a good boy then??" They're hoping it's them, but are looking to the owner for a definitive answer..
And although positive reinforcement goes a long way, the occasional reprimand isn't out of place either. It's what dogs, as experience, and expect as subordinate pack members. And I think the idea is, that the dog is below the owner in the peck order.. For her own, and others safety, security, and mental wellbeing. The dogs on leads in livestock fields is a trucky area. AFAIK The landowner has a duty of care not to put potentially dangerous stock, in a field crossed by a public right of way. Hence the expression "Public Right of Way"
But at the same time the right of the livestock owner, to shoot a dog that is worrying animals, stands, as a legal right too. I'd still let a dog off the lead, and tell it to bugger off, if i was being charged by anything larger than a duck though. ...Can still be naughty but usually with other people ( she'll take advantage). That’s because she has to ‘take advantage’ - she has no choice. Other people don’t give her leadership in a way that she understands you. This causes anxiety and the dog is ‘hard wired’ to take the lead, she doesn’t want to, she has to. We tend to treat them in reverse order i.e Fido does this because it’s just him. Again, we tend to start with affection. Taz38 and cathyjc like this. My cousin's household has a different idea. They're on their third successive Airedale Terrier, and I'll grant them one thing: they're consistent. Me: Why is Sophie/Bubbles/Whatever running around the house barking her head off? Cousin: Because she's sensitive, aren't you Sophie/Bubbles/Whatever darling? M: If she keeps jumping on me, I'm going to smack her. C: Don't do that, she'll probably bite you. M: If that dog bites me, I'll bite it back. How on earth did you get away with it? I've been wanting to do that for ages. She'll then stay to heel until they're gone, then she'll make eye contact with me until I tell her to "go on then, good girl"
I wish all dogs I met were this well trained. I'm getting right fed up with meeting dogs who race towards me jump up all over me and I have to ask the owner to call them off. This is on the private road thru' the local estate woods. One guy said "I had a bad attitude to dogs" - he was busy staring the other way purposfully ignoring my discomfort, as his overly friendly collie was jumping all over me and it's teeth were in contact with my raised elbows (above shoulder height). How would he feel if I brought my dog (I don't have one!) into his garden and it mauled him and I just stood and watched ?? It is of course almost always the owners fault and many members of our current society are truly selfish and thoughtless. Just one thought, if you don't have control at distance then don't let your dogs reach distance you lose control at. You have a responsibility to control your dog. If you can't train it without using e collars then perhaps just accept your have to keep your dogs closer. Long leads if necessary. It might not be what you want but at the end of the day that's really not important. Legally you have to keep your dog under control at all times. Legally landowners can shoot your dog if they're worrying livestock. Worrying is a very vague and wide phrase that precedent probably favours the landowner. So it's a choice you have. As a new dog owner I'm cautious. We have eyes on our dog almost all the time. We're always checking it's with us. If it stretches the contact it gets called back. It's only 11 months old but it obeys so far. IMHO that's a level of control that satisfies our legal responsibilities except around livestock. IMHO you need a lead to be sure you don't have issues. We had an easy job because our dog came as a blank canvas puppy that we trained to fit into our family and behave as we want her to. Not guaranteed but we didn't have any pre-existing training to cope with. I grew up with a soppy old labrador so I don't hate dogs at all. I've been toying with getting a dog now, as the kids are just about 'away'. Quiet around the house. Generally speaking, he's a very good boy. Listens well, walks well, eats well. However, most of the time we (have) to keep him on a leash. Whenever he sees other dogs off leash, he just flies off to them and suddenly it's like he forgot every command he's learned. Sometimes it occurs I take him to the beach, let him of his leash & off he goes. Whenever I call him, he comes back but when I reach for his collar he runs away, comes back, runs around me... Mind; he's not agressive. He just wants to play with other dogs & I reckon he just wants to play with me, too. He doesn't bite nor bark. But... I'm the boss, obviously. He's aware of that in most situations but tends to forget it when he's in 'free'-mode. I correct him as soon as I get the chance, which isn't always lightning fast when he's off chasing another dog. Part of me thinks/hopes/knows that it'll pass; he's only 10 months after all, and puberty is a thing. If anyone has any tips or advice, please do share. We (me & my GF) have followed 'dog's school' but their advice is 'correct as soon as possible' which... we do. I'd like to take him to the mountains when he's 2 years old and obviously this kind of behaviour is out of the question over there. I would start with treats, doesn't have to be food, Bella much prefers playing with a tennis ball than she does food. This persuasion will usually be down to the dog and what motivates it, as i say with Bella it's a tennis ball, with a friends dog it's sausage, another it's cheese, with another it's praise. We got really lucky with Bella because as with most other Jack Russells she's obsessed with anything that rolls. Clare, Arne L. and cathyjc like this. Plastic treat bag. One rustle and our 11.5 month old looks at us. Second rustle she's already running back. We've got a food obsessed border terrier but it works to our advantage in controlling her and training her off leash. Despite being a terrier on a scent the rustle of the packet always works to grab her attention. IMHO treats on return creates the right association between food, or whatever your dog likes as a reward, and required behaviour. Discipline of a negative type (scolding on return) is wholly negative IMHO/IME. BTW treats can be food for the food obsessives or favourite toy if not. You'll know what your dog likes. Positive training works for us. For example I've learnt that if I want to stop our puppy from approaching a person or other dog that seems to me not to be comfortable or safe with our dog I always got better results when I called her name with a rising, positive tone than a lowering, negative or angry tone. I learnt that early on when I called her name angrily which didn't work only to do it like I talk to her when she's been good. That got her stopped dead in her tracks and looking back at me to see what to do next. That was 10 weeks old. They're fast learners, border terriers. Yeah but can she poo into a plastic bag, tie it in a bow and hang it from a bush? Apparently this discussion got moved back into the "general populace" as I had been informed it would be moved. However, I think it also got a little sidetracked as I was looking for input on HOW people correct dogs at a distance without collars...how do people approach this. Moving on from my two (they have been doing great) to wanting to understand how people in the UK will correct a dog at a distance from here on out. 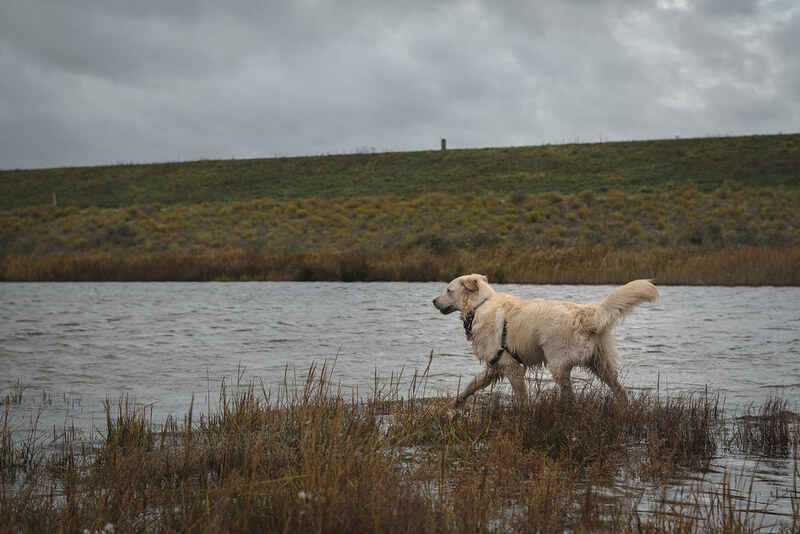 A dog within range of a human, but still off leash, will often react positively but once beyond a certain distance will choose to be independent or not listen because they know they cannot be reprimanded at that distance by the alpha. As someone mentioned above, an Alpha or a mother will never reward, only correct...it is what dogs understand. Positive reinforcement definitely has it's place but IMO there is fine line between whether a reaction needs to be discipline or positive reinforcement. I think 'worrying' means teeth around the neck. I used to think my Italian family were a bit heartless to their guard dog, but seems they were doing it all right according to caeser. What is quite worrying is folks writing that sheep worrying is a vague thing or that it means "teeth around the neck"
It's been defined in UK law for donkeys years. Baldy and cathyjc like this. As a former cattle rancher with my dogs both being working cattle dogs I completely concur. I've seen trainers that use this pseudo nonsense in training, and i've seen the effect it's had on some dogs. It's not based in facts, it just uses snippets of evidence from other animals in entirely different environments that are wedged to fit a predetermined opinion, an opinion that's formed to make money. If a dog doesn't do what you want it to do then more likely than not, it's confused and didn't understand or in the case of not returning it didn't understand the importance of the command. The dog didn't understand what you wanted it to do, or the importance of it, so it sure as hell doesn't understand why it's being reprimanded. Arne L., Clare and Pipe Cleaner like this. I think its pretty easy to fathom really. Either the dog is trained and will obey verbal or whistled recall commands or it isnt and needs keeping on a lead. Continuing to leave a dog off lead in livestock environments that cannot be reliably recalled risks death by boom stick. At last, someone talking sense! Thank you gixer for posting that. The alpha theory came about from 1960s animal behaviour studies on wolves in one area of USA. The lead investigator and author of the report or study that was taken up and applied to domestic dogs has since seen something like 5 reports / studies by the same researcher that refutes his original theories for wolves. I heard / read that in interviews on the matter that researcher said he wished the original paper hadn't been written. He spent his career since arguing against it. That alone should get you questioning the theory. But in case you are still a believer then there's apparently behaviour studies on a particular species of wild dog that has behaviour patterns in the wild that more closely follows domestic dog behaviour. It gives a widely held on the academic arena of animal behaviour studies that it is about resources not dominance when it comes to dog behaviour. Then there's cesar Milan. I used to love watching his programmes when younger (mid 20s). I probably watched almost all his programmes up to that point and took all his theories in. It was like training me for that dog I was going to get one day when my circumstances were right to look after one. I used to talk dog training with dog owner friends like I knew what I was talking about. I only knew about Milan's theories and practices. The dog owners saw a fake in me a mile off. So did the dogs. I now own a year old border terrier. A wonderfully well adjusted and well trained dog. We're still training her but she's wonderful off the lead and in many ways she's well trained. Not once have we used dominance or alpha theories. I will say this now. I believe cesar Milan to be a lucky fraud. I do not believe his techniques in dominance training work because of the dominance / alpha training aspects. I also think he's dangerous for the new dog owner who should not add to his wealth by buying any of his training books or other products. That's my opinion and I've read that it's the opinion of academics in the field of dog and animal behaviour. If you are having issues with dog training seek out the APBT organisation for trainers. Also check out the ASAB website. The latter is very academic side of animal behaviourist. BTW Graham Thompson formerly gear editor of the trail magazine is an accredited member of ASAB with the necessary M. SC in animal behaviour studies apparently. BTW if you speak to qualified trainers about cedar Milan you'll probably get negative comments and recommendations for a more up to date trainer to get better training books from. Sorry for the ramble. I just believe dog training shouldn't be condemned to the discredited alpha / dominance training theories. They're lazy and are based on irrelevant and out dated research into a different species that has been discredited by the same researcher who wrote that paper that started it off. I've never trained a dog but I was a full time mum to 2 kids and a lot of what @gixer says resonates. Very small kids only have needs, but as they approach 'toddlerdom' they start to exercise their independance and need 'training'. As an older, probably more relaxed, mum with few pressures - I found watching my charges and reading their 'intentions' was the most important guide to how to respond to them. If somthing wasn't going right I looked to my own behaviour to see where I'd behaved incorrectly and changed my actions. Observation and reading body language and adapting appropriately always worked best. Not that they were perfect of course , but I cannot remember my kids ever having horrendous toddler tantrums. Folks said it was because I had 'good kids' - I like to think I just used my brain a bit . I've seen many mums struggling with bolshy toddlers and watched them use exactly the wrong responses to 'keep them quiet' - doesn't benefit the kids in the long run, let alone the parents. Bringing up young dogs cannot be much different. Arne L., dovidola, Baldy and 1 other person like this. Never having had a dog, I can only go on the empirical evidence, which bears out what @cathyjc observes. 2. The ones who are continually screaming at their uncontrolled/unruly dog, to no apparent effect. 2. The ones who are continually screaming at their uncontrolled/unruly infant, to no apparent effect. Good training/parenting, or mere good fortune? Or a combination of the two? We now have lots of names (and abbreviations) for congenital behavioural disorders/disabilities/needs in humans, and is it far-fetched to suggest there might be parallel conditions to be found in other mammals? If we are saying that there's no such thing as a dog which cannot be controlled by effective training, then are we also saying that there's no child who cannot be controlled by effective parenting? @Mole think you'll find I'm right.